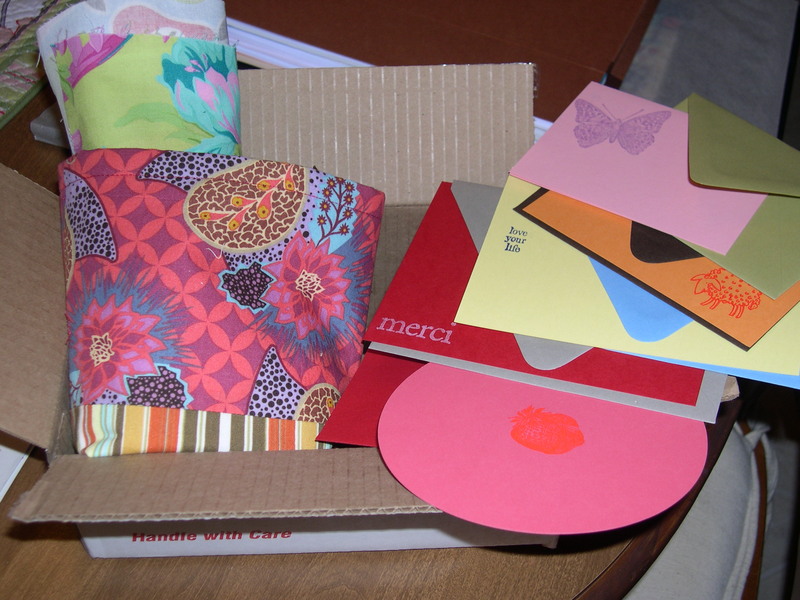 I recently participated in Linda’s patchwork swap with Jessica, who sent me the most fabulous package! She really knew the colors of fabric I love because I oohed and aahed over every single piece. She even included a selection of sweet handmade notecards in the package. 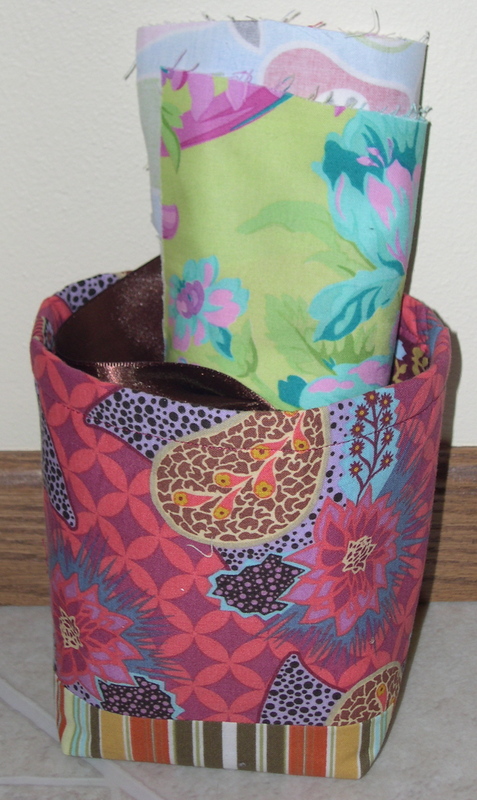 Here is the adorable fabric basket she made – with one of my all-time favorites, Bohemian from Anna Maria Horner. 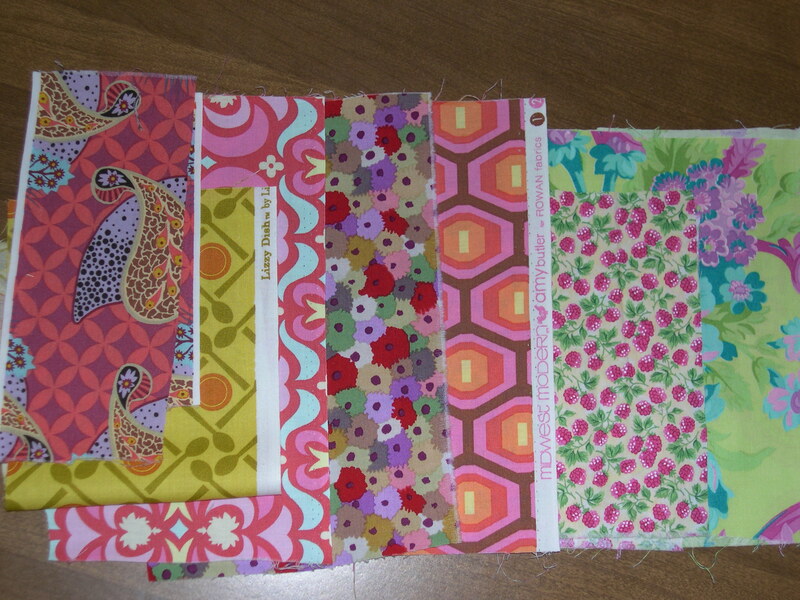 Here is the selection of fabulous scraps she shared with me. 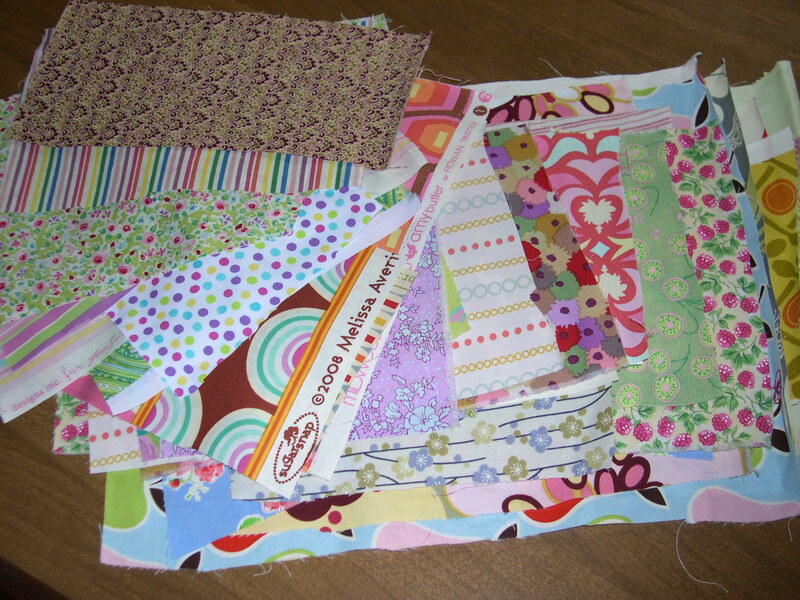 I’m thinking about using these scraps to make a strip pieced quilt inspired this or this tutorial. Thank you so much, Jessica, for your generosity! And thank you, Linda, for hooking me up with such a great patchwork swap partner! Beautiful colors! They would be great in that strip quilt! oooh, pretty! they’d be great in a strip quilt! Looks like you got some great fabric there. I can’t wait to see the quilt you create out of these.